TimeShift is a Linux app that provides functionality similar to the System Restore feature in Windows and the Time Machine tool in Mac OS. TimeShift takes incremental snapshots of the file system at regular intervals. These snapshots can be restored later to bring your system to the exact state it was in at the time when the snapshot was taken. TimeShift is designed to protect only system files and settings. User files such as documents, pictures and music are excluded. 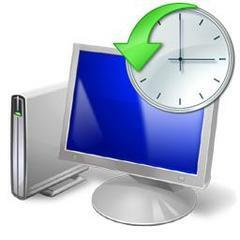 This ensures that your files remains unchanged when you restore your system to an earlier date. TimeShift 1.3 was released recently with Ubuntu 12.04 build error fixed. The TimeShift PPA is ready for Ubuntu 13.10, Ubuntu 13.04, Ubuntu 12.10, Ubuntu 12.04, Linux Mint and their derivatives. For Fedora, OpenSuse, ArchLinux and other Linux Operating Systems, you may use the .run installer from TimeShift website.